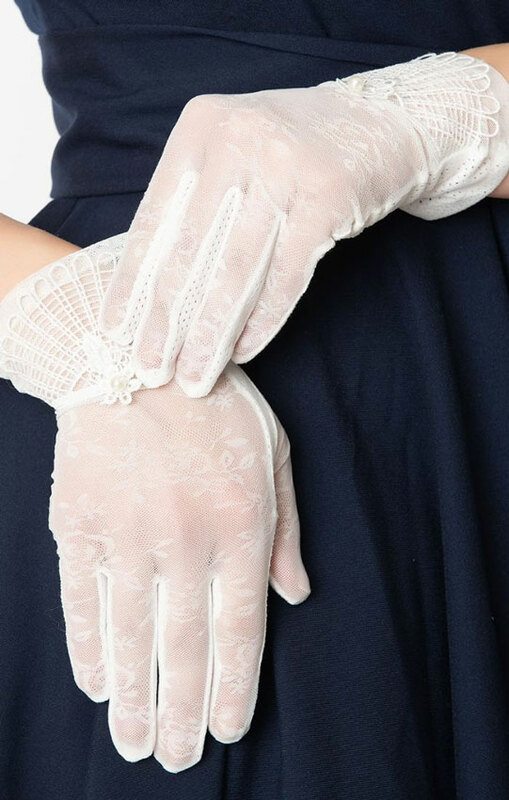 White Deco style lace and mesh wrist length gloves by Unique Vintage! 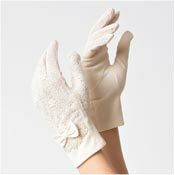 The lace has a floral pattern with a fan shaped Deco embellishment at the bottom. The right index finger has a surface suitable for touch screens and the palms are mesh with a bit of a gel grip. The perfect mix of vintage meets modern. One Size. 2" from thumb. 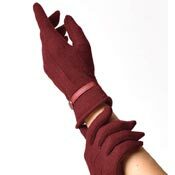 In our fitting trials we found these to fit average sized hands perfectly. They may be too snug for large sized hands.